Jack Pun is Assistant Professor in the Department of English at City University of Hong Kong. He previously taught at the Hong Kong Baptist University, Hong Kong Polytechnic University, University of Hong Kong and University of Oxford. He holds a DPhil in Education (Applied Linguistics and Science Education) from the University of Oxford, UK, a Master of Arts in English Language Studies (Distinction) and a Bachelor degree in Chemical Technology with minor in English from the Hong Kong Polytechnic University. Jack’s primary research interests focus on Language Education and Health communication. He works within the field of Applied Linguistics, with research interests in English as medium of instruction (EMI), English language education, second language acquisition, sociolinguistics and systemic functional linguistics. In particular, he is interested in studying the classroom interaction in EMI classroom, the academic literacy and language challenges of these students under different exposures of EMI instruction. He is a member of the Centre for Research and Development in English Medium Instruction (EMI Oxford), Department of Education, University of Oxford, Oxford, UK, which conducts research into the extent and effects of EMI around the world. His second trend of research is health communication. 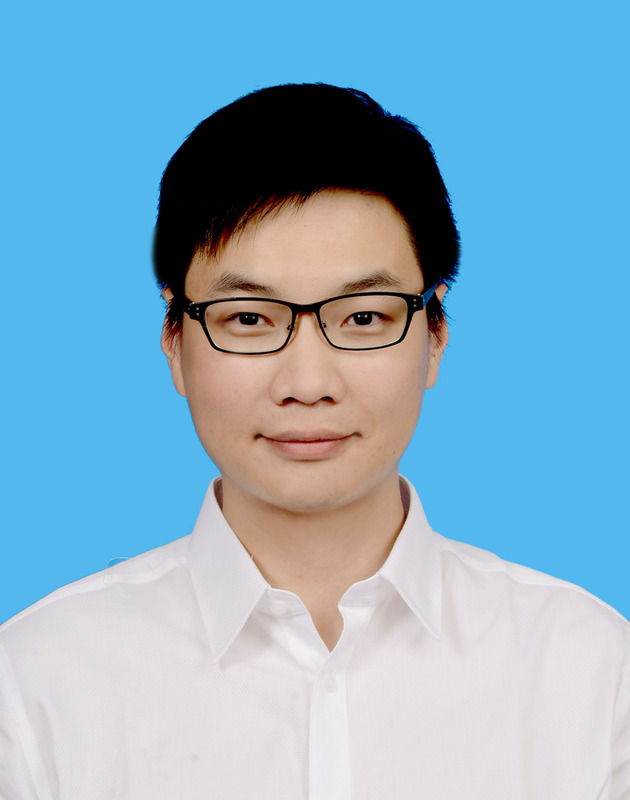 As a bilingual speaker of Chinese and English, he is motivated to investigate the effectiveness and patient satisfaction of health communication from a cross-cultural and cross-disciplinary perspective. He explores the role of communication in shaping decision making processes at consultations, and how communication affects the quality of care patients received from the health providers in different clinical settings (emergency department, Intensive care unit, nursing handovers, traditional Chinese medicine, veterinary medicine) and how effective communication enhances our understanding of the challenges and expectations in healthcare in worldwide hospital setting. He is a founding member of the Institute for Communication in Healthcare (ICH) at the Australian National University, ANU, Canberra, Australia. He is also the Secretary/Treasurer of the Asia-Pacific LSP & Professional Communication Association (LSPPC), specializing in languages for specific purposes and professional communication. (PI) Genre-based approach to enhancing secondary students’ English writing ability in science subjects, Quality Education Fund, Hong Kong SAR Government, Apr 2019 to May 2022, Amount: HKD $1,022,700. (PI) Exploring the language challenges and coping strategies of science students in an English-medium university, Research Start-Up Grant, City University of Hong Kong, 01 Apr 2018 to 31 Mar 2020, Amount: HKD $200,000. (PI) Multimodal English language learning in the life sciences: The case of interactional proficiencies, Teaching Start-up Grant, City University of Hong Kong, 01 Jun 2018 to 30 Nov 2019, Amount: HKD $119,955. (Co-I) Multimodal English language learning in the life sciences: The case of generic proficiencies, Teaching Development Grant, City University of Hong Kong, 01 Sep 2018 to 28 Feb 2020, Amount: HKD $239,969. He currently teaches courses on second language acquisition, English as medium of instruction, professional communication and academic English for disciplinary areas (Science, Engineering). Slade D, Pun J, Lock G, Eggins S. (2016). Potential risk points in doctor-patient communication: an analysis of Hong Kong emergency department medical consultations. In Helen de Silva Joyce (Eds). (2016). Language at Work: Analysing Language Use in Work, Education, Medical and Museum Contexts, Newcastle: Cambridge Scholars Publishing, p.146-165. Slade, D., Matthiessen, C.M.I.M., Lock, G., Pun J. & Lam, M. (2016). The interplay of interpersonal and experiential meanings in doctor-patient communication and its impact on health outcomes in a Hong Kong Accident and Emergency Department. In Ortega, L., Tyler, A., & Park, H.-I. (Eds.). (2016). The usage-based study of language learning and multilingualism. Washington, DC: Georgetown University Press. Rider EA, Kurtz S, Slade D, Longmaid E. III HE, Ho MJ, Pun K.H., Eggins S & Branch WT. (2014) The International Charter for Human Values in Healthcare: An interprofessional global collaboration to enhance values and communication in healthcare. Patient Education and Counselling, 96(3), 273-280. http://dx.doi.org/10.1016/ j.pec.2014.06.017. 2013 Annual Retreat Abstracts 2013:62. Slade D, Matthiessen C, Rider EA, Pun J. The International Centre For 2013 Communication In Healthcare: Creating safe, effective, and compassionate healthcare systems around the world. Abstract Book. National Academies of Practice 2013 Annual Forum, 2013:23.
of care. Abstract Book. National Academies of Practice 2013 Annual Forum, 2013:22. Jack Pun, E. Angela Chan, Suzanne Eggins, Diana Slade (2019). Researching and teaching effective nursing handover communication in a Hong Kong hospital. Presented at the 54thRELC International Conference & 5thAsia-Pacific LSP & Professional Communication Association Conference, Regional Language Centre, Singapore. 11-13th Mar, 2019. Jack Pun, Winnie Chor, Linda Zhong (2019).An Exploratory Study of Meaning Negotiation in Traditional Chinese Medicine (TCM) Consultation— A Case Study of Hong Kong.Presented at the International Symposium on Communication in Health Care 2019, Nanyang Technological University, Singapore. 11-12th Feb,2019. Jack Pun, E. Angela Chan, Suzanne Eggins, Diana Slade (2019).Better Nursing Handover – Nurses’ Perceptions on Their Handover Practices in a Chinese Hospital in Hong Kong. Presented at the International Symposium on Communication in Health Care 2019, Nanyang Technological University, Singapore. 11-12th Feb,2019. Jack Pun (2018). Navigating through the English-medium-instruction policy: voices from the teachers and students in Hong Kong secondary science classrooms. Presented at the 2018 International Conference on Bilingual Learning and Teaching, The Open University of Hong Kong, Hong Kong. 27thOct, 2018. Jack Pun (2018).The challenges of teaching and learning in EMI classrooms: Perceptions of teachers and students from Hong Kong Secondary Science classrooms. Presented at the 2018 Applied Linguistics Association of Korea (ALAK), Sogang University, Seoul, South Korea. 13thOct, 2018. Jack Pun (2018).Using discourse analysis to inform better nursing handover communication in a bilingual Hong Kong hospital. Presented at the 2018 JASFL Japanese Association of Systemic Functional Linguistics, Nippon Sport Science University, Tokyo Japan, 6-7thOct, 2018. Jack Pun (2018). "Understanding the role of health professional-patient communication practices in East Asia: Hong Kong, Korea, Japan, Taiwan, and Mainland China." Presented at the international and interdisciplinary conference on Applied Linguistics and Professional Practice (ALAPP), Cardiff University (UK), 17-19 September 2018. Jack Pun (2018). “Why EMI is still a matter for Hong Kong students? perceptions of teachers and students in Hong Kong Secondary Science classrooms?”. Presented at 16th Asia TEFL Conference, University of Macau, 27-29th June, 2018. Diana Slade, Suzanne Eggins, E. Angela Chan, & Jack Pun (2018). “Better nursing handover communication: translational research in a bilingual Hong Kong hospital.”. Presented at Communication, Medicine & Ethics (COMET) conference, University of Birmingham, 25-27th June, 2018. Jack Pun, E. Angela Chan, & Diana Slade (2018). “Health professional-patient communication practices in East Asia: A review of research and practice in Hong Kong, South Korea, Japan, Taiwan and Mainland China.” Poster Presented at Communication, Medicine & Ethics (COMET) conference, University of Birmingham, 25-27th June, 2018. Diana Slade, Angela Chan, and Jack Pun (2018). “Better communication in nursing shift-to-shift handovers: from Research to Practice in a Hong Kong metropolitan hospital.” presented at the International Symposium on Healthcare Communication, Institute for Communication in Health Care (ICH), Australian National University, 12-13th February 2018. Jack Pun (2017). ‘Teaching Secondary Science through EMI: Classroom interaction’, paper presented at the CAES International Conference, Face of English 2: Teaching and researching academic and professional English, The University of Hong Kong, 1-3 June. Jack Pun, Diana Slade, Angela Chan, Marvin Lam, (2016). 'Development of the Clinical nursing handover at a private hospital in Hong Kong', paper presented at the 4th International Symposium & Roundtable for Healthcare Communication, Università della Svizzera Italiana, Lugano, Switzerland, 27 June. (Poster) Jack Pun (2015). ‘Classroom interactions in different English medium of instruction secondary science classrooms’ presented at the Research Poster Conference, Department of Education, University of Oxford, United Kingdom, 12 Oct.
(Poster) Jack Pun (2015). ‘Teaching and learning science through English: Classroom interactions, teachers’ and students’ perceptions and attitudes in Hong Kong’ presented at 2015 LSA (Linguistic Association of America) Summer Institute, Department of Linguistics, University of Chicago, United States, 28 July. Jack Pun and Diana Slade, (2015). ‘Patient involvement in shared decision-making in a Hong Kong trilingual Emergency Department’, paper presented at the Interdisciplinary Conference on Communication, Medicine and Ethics (COMET), University of Hong Kong, 25-26 June. Jack Pun, Daniel McDonald, Christian M.I.M. Matthiessen, Diana Slade, Marvin Lam, Suzanne Eggins, (2015). ‘Functional linguistic exploration of healthcare communication: theoretical and methodological issues’, work-in-progress roundtable and panel discussion presented at the Interdisciplinary Conference on Communication, Medicine and Ethics (COMET), University of Hong Kong, 25-26 June. Jack Pun (2015). ‘On-going study: Teaching and learning process in EMI science classrooms’ presented at the 12th Annual Kaleidoscope Conference, Faculty of Education, University of Cambridge, United Kingdom, 28-29 May. Jack Pun, Diana Slade, Angela Chan & Marvin Lam (2016). 'Development of the Clinical nursing handover at a private hospital in Hong Kong', paper presented at the 4th International Symposium & Roundtable for Healthcare Communication, Università della Svizzera Italiana, Lugano, Switzerland, 27 June. Jack Pun & Diana Slade, (2015). ‘Patient involvement in shared decision-making in a Hong Kong trilingual Emergency Department’, paper presented at the Interdisciplinary Conference on Communication, Medicine and Ethics (COMET), University of Hong Kong, 25-26 June. Jack Pun, Daniel McDonald, Christian M.I.M. Matthiessen, Diana Slade, Marvin Lam & Suzanne Eggins, (2015). ‘Functional linguistic exploration of healthcare communication: theoretical and methodological issues’, work-in-progress roundtable and panel discussion presented at the Interdisciplinary Conference on Communication, Medicine and Ethics (COMET), University of Hong Kong, 25-26 June. Jack Pun (2014). The roles of images and language in learning school science in bilingual classroom. presented in the 17th World Congress of Applied Linguistics. AILA, The Brisbane, Australia, 15th August. Jack Pun & Diana Slade, ‘Understanding the communication challenges in a bilingual emergency department: a linguistic perspective’, 17th World Congress of Applied Linguistics, Brisbane, Australia, 15th August. Diana Slade, Marvin Lam, Christian M.I.M. Matthiessen & Jack Pun, Kazuhiro Teruya, ‘Exploring doctor-patient communication in high stress contexts: Patient involvement in shared decision-making in a Hong Kong trilingual emergency department’ Interdisciplinary Conference on Communication, Medicine and Ethics (COMET), Università della Svizzera italiana, Lugano, Switzerland, 26th June. (Poster) Jack Pun (2014) ‘The Register Profile of School Science: the Expectations of Language Use in L2 learners’ presented at the Stories Conference, Department of Education, University of Oxford, United Kingdom, 18th March. (Invited conference paper) Carman Ng & Jack Pun (2013) ‘Using Graphics Novels to Build Scientific Literacy’ paper presented at the 3rd Conference on Language Arts and Linguistics, Hong Kong Polytechnic University, Hong Kong, 29th September. (Invited conference paper) Jack Pun (2013) ‘The Register Profile of School Science: the Expectations of Language Use in L2 learners’ paper presented at the Free Linguistics Conference, Hong Kong Polytechnic University, Hong Kong, 28th September. (Refereed conference paper) Diana Slade & Jack Pun, (2013) ‘Effective Healthcare Communication in Hong Kong Emergency Departments’ paper presented at the Interdisciplinary Conference on Communication, Medicine and Ethics (COMET), University of Melbourne, Australia, July. (Poster) Rider EA, Ho M-J, Branch WT, Slade D, Pun J, Longmaid HE (2013). Restoring core 2013 values: The International Charter for Human Values in Healthcare. Poster presented at Eleventh Interdisciplinary Conference on Communication, Medicine and Ethics (COMET), University of Melbourne, Australia, 12th July. Slade D, Matthiessen CMIM, Rider EA, Pun J (2013). The International Centre for Communication In Healthcare: Creating safe, effective, and compassionate healthcare systems around the world. Poster presented at Eleventh Interdisciplinary Conference: Communication, Medicine & Ethics (COMET), The University of Melbourne, Melbourne, Australia, July. (Invited conference paper) Jack Pun, Diana Slade, Christian M.I.M. Matthiessen, Elaine Espindola, Franscisco Veloso, Marvin Lam, Andy Fung (2013) ‘The linguistic challenges of doctor-patient communication in emergency department ’paper presented at the 2nd International Symposium & Roundtable, Hong Kong Polytechnic University, Hong Kong, June. Jack Pun, Diana Slade (2013) ‘Communication in a bilingual emergency department.’ poster will be presented at the Harvard Macy Institute, Harvard Medical School, Boston, United State, May. Jack Pun, Diana Slade, Christian MIM Matthiessen (2012) ‘How can emergency communication be done better in bilingual settings? A linguistic view.’ paper presented at the Japan Association of Systemic Functional Linguistics, Aichi Gakuin University, Nagoya, Japan, October. Diana Slade & Jack Pun (2012) ‘Communicating in emergency departments: The Australian and Hong Kong.’ Invited paper presented at the National Academies of Practice Conference, Patient-Centered Care: Working Together in an Interprofessional World, Cleveland, OH, United State, September. Jack Pun.(2012). ‘The roles of visual semiotics in learning secondary school science, paper presented at the 6th International Conference on Multimodality, Institute of Education, University of London, London, U.K.,August. Jack Pun, Diana Slade, Christian M.I.M. Matthiessen, Elaine Espindola, Franscisco Veloso, Marvin Lam, Andy Fung (2012). ‘Doctor-patient communication in hospital emergency departments: the Australian and Hong Kong contexts, paper presented at the 23rd European Systemic Functional Linguistics Conference, University of Bologna, Bertinoro, Italy, July, 2012. Jack Pun, Diana Slade, Christian M.I.M. Matthiessen, Elaine Espindola, Franscisco Veloso, Marvin Lam, Andy Fung. (2012) ‘How medical communication can be done better in bilingual settings’, paper presented at the Interdisciplinary Conference on Communication, Medicine and Ethics (COMET), Norwegian University of Science and Technology, Trondheim, Norway, June. (Poster) Jack Pun, Diana Slade, Marvin Lam. (2012) ‘Emergency communication’, poster presented at Hospital Authority Convention, Hong Kong, May. (Invited conference paper) Diana Slade, Jack Pun, Marvin Lam, (2012) ‘Emergency communication: Hong Kong and Asutralia’, paper presented at Stance workshop, Hong Kong Polytechnic University, Hong Kong, May. (Invited conference paper) Diana Slade, Jack Pun, Marvin Lam, (2012) ‘Doctor-patient Communication in Emergency Departments: Hong Kong and Australia’, paper presented at School of Medicine, Indian University, Indianapolis, U.S. April. (Invited conference paper) Diana Slade, Jack Pun, Christian MIM Matthiessen, Elaine Espindola, Franscisco Veloso. (2012) ‘Effective Healthcare Communication: Hong Kong & Australia, paper presented in the Register and Context 2012: Social Relations and the Enactment of Tenor in Text in Context, Macquaire University, Australia, February. (Invited conference paper) Jack Pun, Diana Slade, Christian MIM Matthiessen, Elaine Espindola, Franscisco Veloso, (2012) ‘Effective Healthcare Communication: the bilingual setting of Tuen Mun Hopsital, Hong Kong, paper presented in the 8th International Congress on English Grammar, The Hong Kong Polytechnic University, Hong Kong, January. Diana Slade, Jack Pun, Francsico Veloso (2011) ‘Emergency communication: Australia and Hong Kong’, paper presented in the International Conference on Communication in Healthcare, Northwestern University, Chicago, the United State, October. (Poster) Diana Slade & Jack Pun (2011) ‘How medical communication can be done in trilingual setting?’, poster presented in the International Conference on Communication in Healthcare, Northwestern University, Chicago, the United State, October. Akashi, T, Forey, G., Matthiessen, Christian, M.I.M., Sampson, N. Lam, M., Low, F. & Pun, J. (2011). Learning through Language: Language Construing Disciplinary Kowledge & Pedagogy in Primary & Secondary Schools. Paper presented in the 16th World Congress of Applied Linguistics, Beijing Foreign Studies University, Augest. (Invited conference paper) Jack Pun (2011) ‘Analysis of Hong Kong Science Textbooks using Systemic Functional Linguistics.’, paper presented in the PolySystemic: Language & Educational Symposium, January. Matthiessen, Christian M.I.M., Yap, Foong Ha, Lam, Marvin, Patpong, Pattama, Oichi, Ayako,Pun Jack & Susanto Nanda (2010) ‘The realization of mood and modal assessment in different languages: modal particles’, paper presented in the 37th International Systemic Functional Congress, University of British Columbia, Vancouver, Canada, July.